This morning I woke up nice and early so that I could watch the Olympic cycling men's road race. I was cheering for Alexandre Vinokourov and was excited to see him win the gold. My waking up early was entirely due to my love of Olympic road cycling and had nothing to do with the fact that the babies had another awful night. I give the guys a D- for last night. Poor work, gentlemen. After watching the conclusion of the race and having Jen awake from the brief sleep she was allowed I made up some lunch. I took last night's leftover salmon and made it into a salad with red onion, scallion from the farm, a little mayonnaise, whole grain mustard, and hot sauce. I put it on toasted bread with sliced avocado and sliced tomato I got at the Greenmarket. This afternoon the babies got a visit from friends who were kind enough to hold and snuggle the babies until it was time for me to go change their poopy diapers. I was envious of them because I remember being them. I remember going to visit friends with babies, holding them for fifteen minute and thinking, "Huh, this isn't so bad. I could do this." Then the baby would cry, I'd hand it back to the mother or father and mosey on home. I love to cook. You may have gathered that from the last seven or eight hundred blog entries. 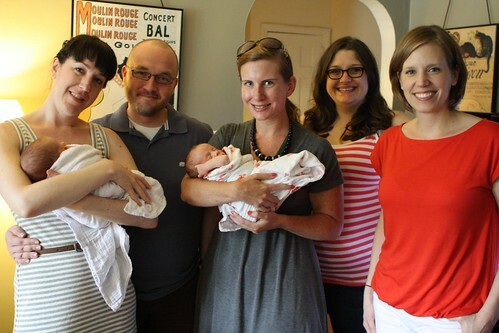 However, there is nothing better with two newborn babies than having friends come to visit and bringing food. Time is precious and this gives me more time to focus on changing poopy diapers, burping, sleeping for fifteen minute increments, or staring blankly at a wall in a fit of exhaustion. 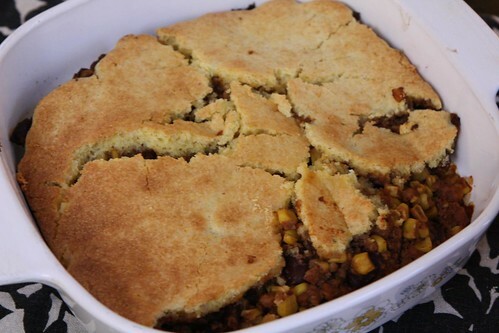 Matt made this vegetarian casserole with vegetable crumble, beans, and some sort of cornmeal crust. It was very tasty. He said his father calls it "Indian Goulash" but that he has adapted it as "Native American Goulash." Goulash seems like an odd term for such a dish but this was nice and tasty and the leftovers will be thoroughly enjoyed for lunch tomorrow. 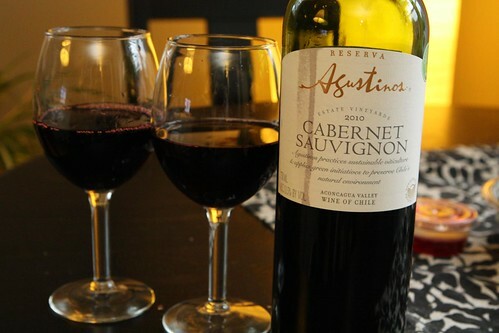 Our friends were also kind enough to bring wine, this 2010 cabernet from Agustinos in Chile. I had a glass but, of course, dinner would not be complete without another trip to the beer cellar. 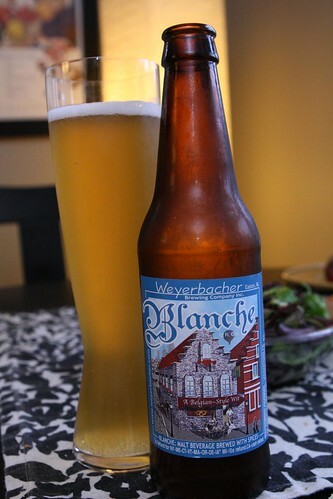 For beer I poured this Blanche from Weyerbacher. I was a little surprised at how subtle the flavor was in this beer. There was no alcohol percentage listed on the bottle but I'd imagine it was 5% or lower. It was nice and very refreshing but I'd have expected a little more flavor from the style. Perhaps at 6-7% that could be accomplished. At any rate it would be a great beer if you were planning on drinking more than one on a hot summer day. I'm a light weight so I can't imagine drinking more than one. Who drinks two beers? Rock stars and wreckless fools, that's who. 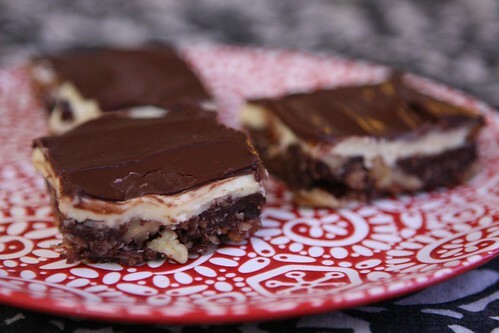 Our friend Jennie was also kind enough to research and bake us a Canadian treat: Nanaimo Bars. These are some of my all time favorite dessert bars from the home country and Jennie's take on them was faithful and delicious. Ah, friends. 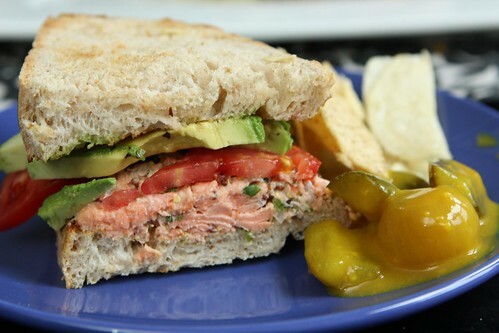 It's great getting delicious food and not having to do anything about it. While we were glad to see them and grateful for the food it is a little scary that someday these babies' novelty might fade and we will be greeted with far less help from families and fewer dinners prepared for us. We will be on our own and it is terrifying.